Practice the questions given in worksheet on numbers from 200 to 299. 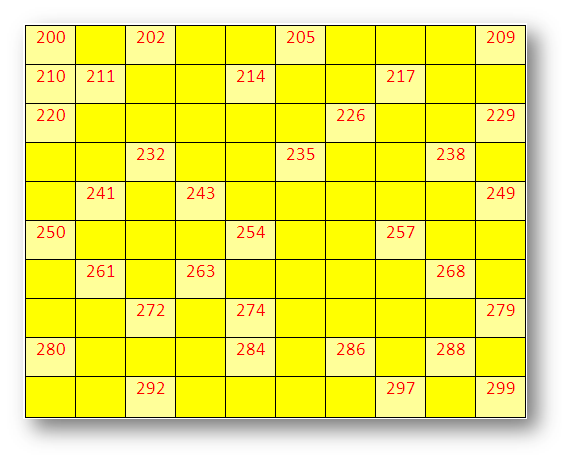 The questions are based on the numbers from 200 to 299 finding the missing numbers, number in words, number in expanded form, patterns of the numbers, before and after. (i) 215, 220, 225, …………, …………, ………… . (ii) 279, 280, 281, …………, …………, ………… . (iii) 223, 225, 227, …………, …………, ………… . (iv) 247, 250, 253, …………, …………, ………… . 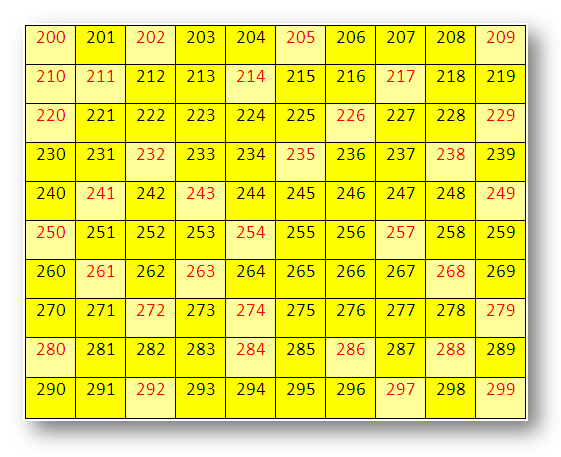 Answers for the worksheet on numbers from 200 to 299 are given below to check the exact answers of the above questions for learning numbers. 4. (i) 230, 235, 240.